Buy online SG3525 SMD Pulse Width Modulator in India at low cost from DNA Technology, Nashik, Maharashtra. There are numerous Pulse Width Modulation (PWM) controllers available that make the use and application of PWM quite easy. 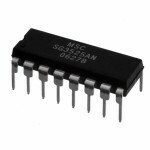 One of the most popular of such controllers is the versatile and ubiquitous SG3525. The SG3525A pulse width modulator control circuit offers improved performance and lower external parts count when implemented for controlling all types of switching power supplies. 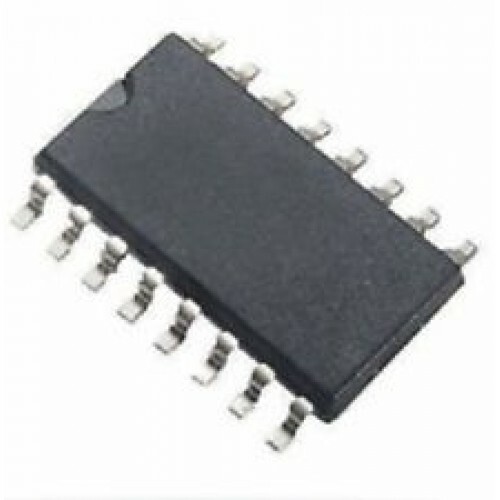 The on−chip +5.1 V reference is trimmed to 1% and the error amplifier has an input common−mode voltage range that includes the reference voltage, thus eliminating the need for external divider resistors. A sync input to the oscillator enables multiple units to be slaved or a single unit to be synchronized to an external system clock. A wide range of dead time can be programmed by a single resistor connected between the CT and Discharge pins. 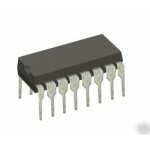 This device also features built−in soft−start circuitry, requiring only an external timing capacitor. A shutdown pin controls both the soft−start circuitry and the output stages, providing instantaneous turn off through the PWM latch with pulsed shutdown, as well as soft−start recycle with longer shutdown commands. The under voltage lockout inhibits the outputs and the changing of the soft−start capacitor when VCC is below nominal. The output stages are totem−pole design capable of sinking and sourcing in excess of 200 mA. The output stage of the SG3525A features NOR logic resulting in a low output for an off−state.